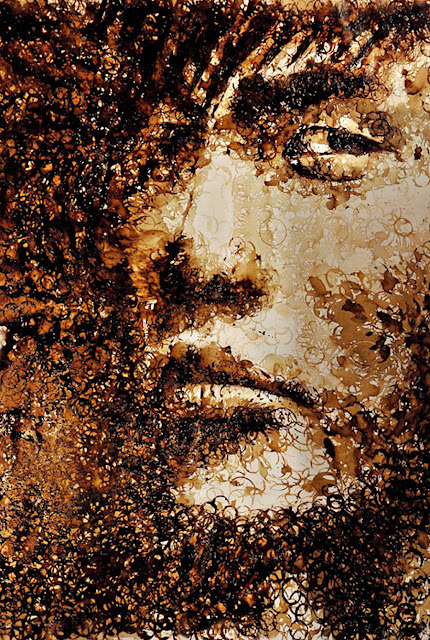 A portrait of Jay Chou using coffee stains. 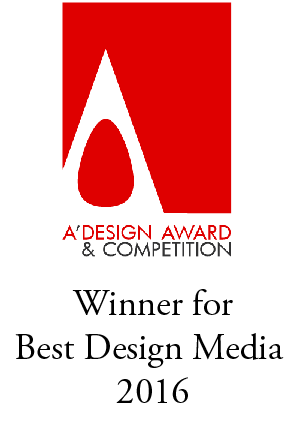 The project took about 12 hours to finish. 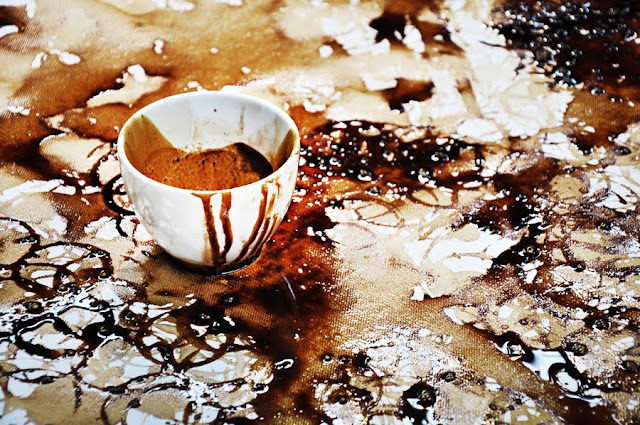 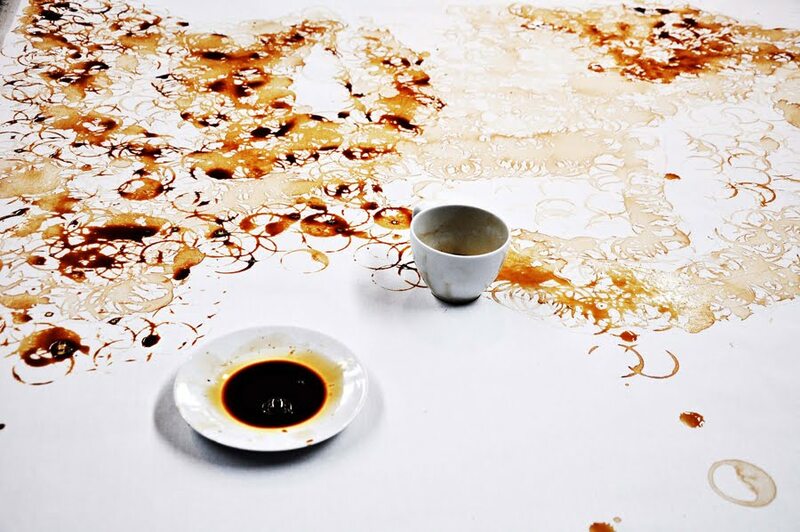 Coffee is quite a challenging medium to use - too little water and the rings wouldn't form easily, too much water and the rings would blend into each other, resulting in just a deformed pool of coffee. She had to also wait for the lighter parts too dry up before stamping on the darker rings, or else the rings would not be visible. 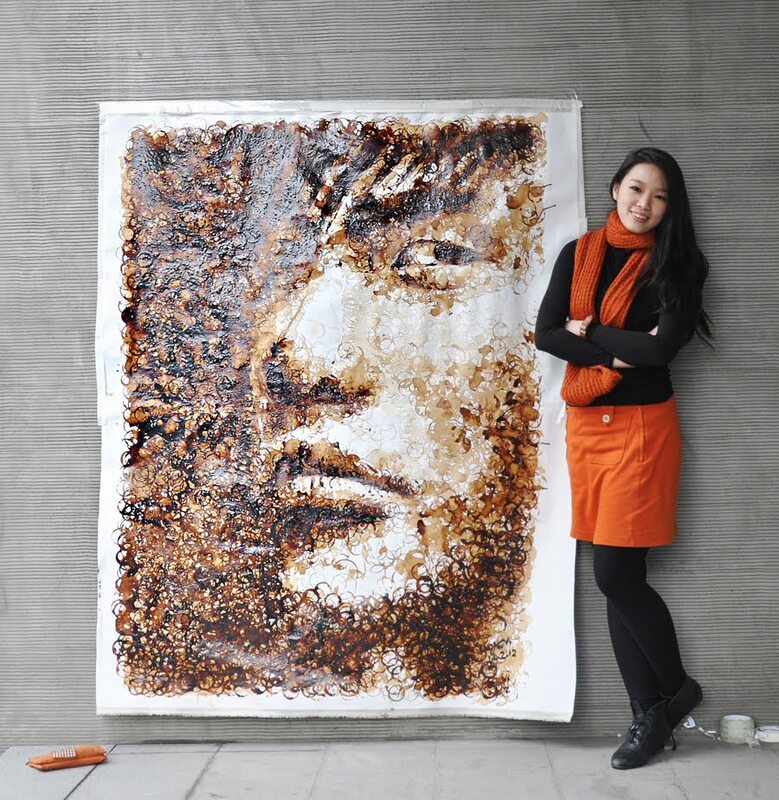 Actually, Red Hong painted a portrait of Jay Chou, who is a talented singer-song writer from Taiwan.